I hope this message finds all of you well; I write it with a bittersweet mixture of joy, and sadness. There is no easy way to break this news to you, so I'll get right to it- Das Bierhaus will not be opening again, at our current 175 Church St. location. It's hard to believe it, but five awesome, and tremendously rewarding, years have passed since we signed our lease. Renewal time had come and, as the dust of negotiations and exploring other options settled, I was fortunate enough to have been presented with an offer I could not refuse. This decision affords me the exciting opportunity to expand Das Bierhaus into some new markets, and I've certainly not ruled out the possibility of another (smaller) location here in Burlington. I can definitely tell you that this is NOT goodbye! To paraphrase a great Austrian philosopher, "We'll be back..."
Until then, I thank all of you, so very much. To my guests, to my current and former staff, and to the city of Burlington- Thank you for your support, for your patronage, for all the great times we shared. I would not trade the last 6 years for anything. Dank zu viel and here's to great things for all of us, in 2015! Das Bierhaus is an authentically awesome German restaurant located in downtown Burlington VT, at the corner of Church and Main Street . We honor the German ethos of efficiency, quality and cleanliness in order to provide our guests with an outstanding German experience in an authentic, yet accessible, environment. 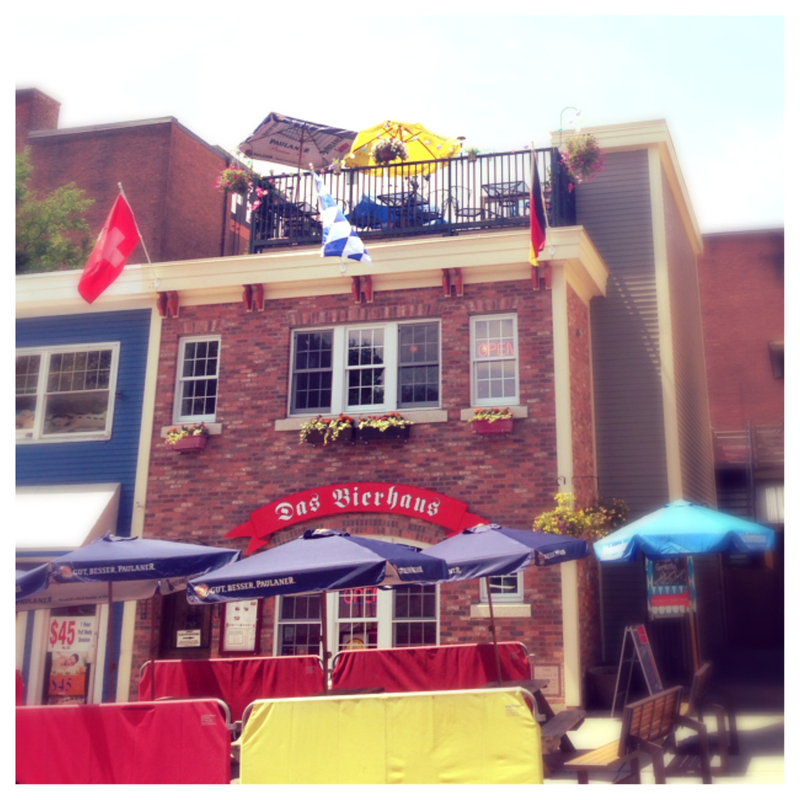 The three floors of Das Bierhaus each offer something a little different. The first floor Bierstübe is quiet and intimate. The second floor Chalet is more open, containing an impressive bar and the most important european soccer games on TV. Finally, the rooftop Biergarten is an open-air, communal layout with picnic tables. When the weather is good, there is nowhere in Burlington that you'd rather be! We have searched far and wide to bring you these traditionally inspired meals. Our dishes are homemade, using locally-sourced and produced ingredients wherever possible. They are based on authentic German, Austrian and Swiss family recipes and served with a twist of Vermont. We are dedicated to continuing old-world culinary traditions. As such, we support local farms and operate with no microwave and very limited freezer space — everything is fresh. Nothing is pre-packaged. Our food is prepared from scratch, and cooked with love. Das Bierhaus is a chef-owned establishment. Das Bierhaus works tirelessly to import the greatest and most historic German beers to Vermont. As a result, our selection is unmatched. 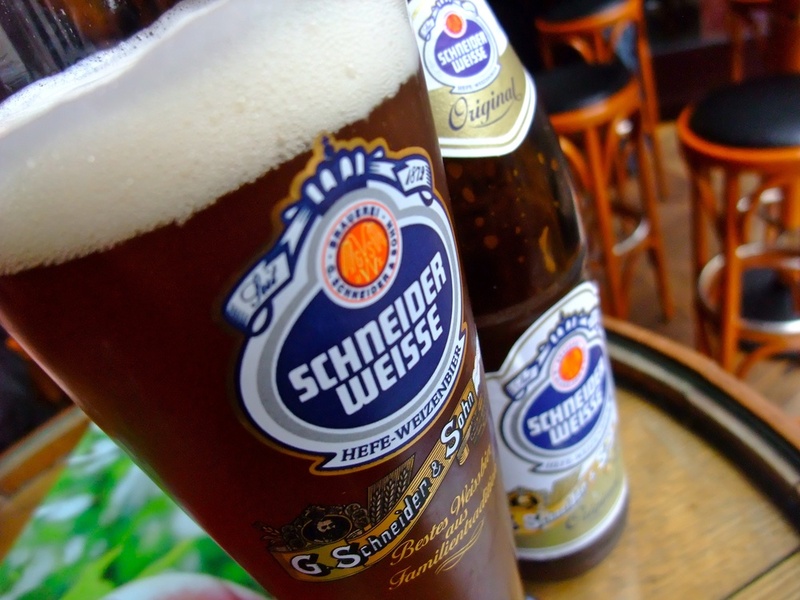 The world's best beers come from Germany. Come taste them for yourself! Simply speaking, the world's greatest beers. We dedicate our 8 main draft lines exclusively to German biers, and offer a very limited and rotating draft selection of hard-to-get, local, and/or upcoming beers we want you to experience. Our selection varies based on availability and seasonal variety. We constantly source new, limited, and/or up-and-coming biers from home and abroad, so there should always be something new to taste... Prost! By car, by plane, or by ship—we look forward to seeing you soon. In the meantime, give us a shout via phone, email, Facebook or carrier pigeon. We will make sure everything is set up perfectly for when you arrive. Talk to you soon!